Fairy Glen Day Care Centre has been in operation for over 20 years however, it’s St Theresa Catholic School location is relatively new. It’s clear from talking with everyone working here there is an immense sense of pride and respect for their new centre, a feeling that I think the children can only benefit from. The yard at this centre is something I haven’t found anywhere else – An entirely simulated green space using poured rubber surfacing (that looks just like tree bark) and the use of soft synthetic grass throughout. A feature like this isn’t something you will typically find at a lot of centres, at least the ones I’ve toured so far in Whitby. Features like this reflect an overall theme throughout the centre where the staff maximize the use of safe and durable materials, especially for little ones who are prone to bumps and falls. 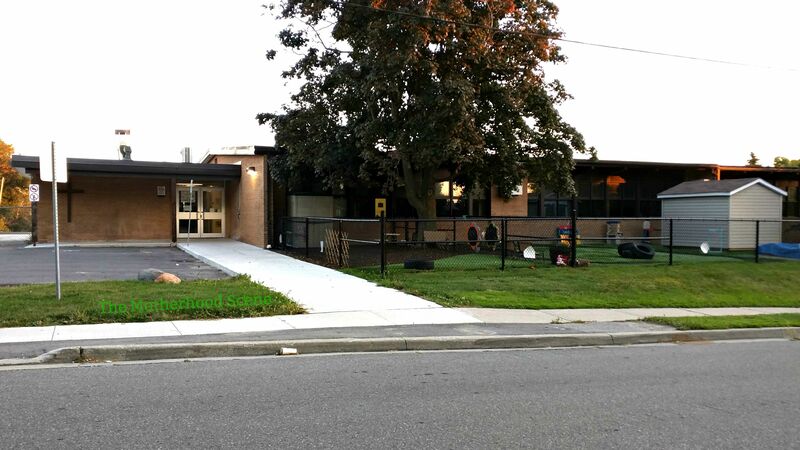 What’s more is that this centre has all the benefits of being attached to a school without some of the frustrations that come from other centres that share a building with an elementary school. The Fairy Glen centre entrance is tucked away from the main pick up and drop off area for the school, allowing parents a greater ease of access and a less hectic environment for the children. Infant rate is $240 weekly. Toddler rate is $205 weekly. There are no costs to register your child for an infant/toddler program. Parents are required to provide one week’s worth of fees upfront as a deposit, in addition to their usual weekly rate.